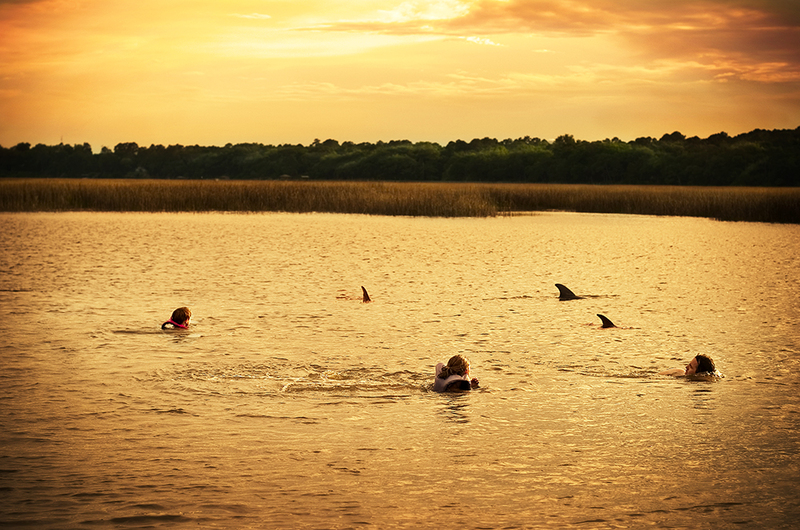 Kids swimming with dolphins. There was a pod of around 7 dolphins. The fins are real but I couldn't get enough fins on the surface at one time to illustrate the scene so I borrowed a couple of fins from different frames. It was a very exciting and scary time for the kids.